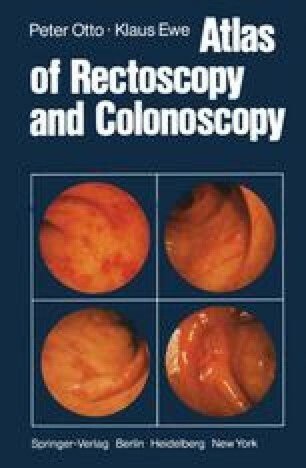 Flexible instruments that are available for use in examining the large bowel include the short fiberscopes (650–1050 mm in length) for sigmoidoscopy and the long fiberscopes (1250–1865 mm in length) for colonoscopy. For the usual circumstances that one encounters in practice the sigmoidoscope will suffice. In this regard, the short sigmoidoscopes with a length of 650–750 mm (F 91 S, American Cystoscope Makers Inc. (ACMI); TCF-IS, Olympus Co., rectosig-moidoscope after Otto, Wolf Co.) are particularly appropriate because of their easy maneuverability. High colonosocopy that requires more personnel and is technically more difficult should be performed in a hospital.